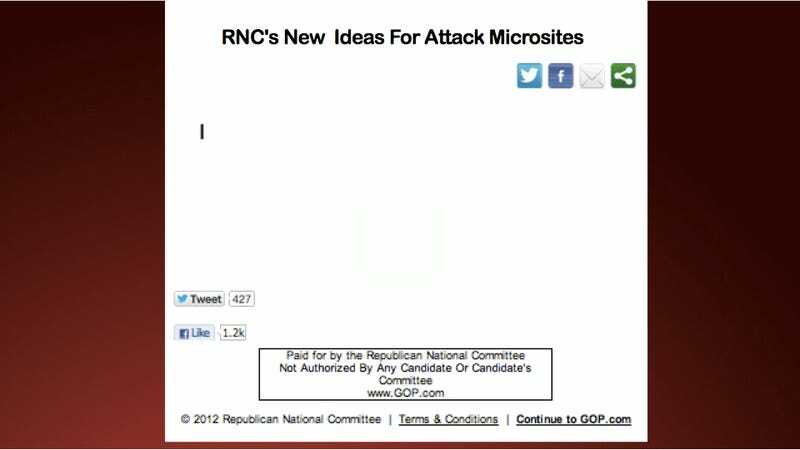 Ironically, it's the RNC that has no new ideas, in this case. Media consultant and former member of the Democratic Nation Committee Matt Ortega tweeted today "Hey I liked the RNC's new microsite http://bit.ly/KF16bD better when I launched that same idea last year, douches. http://bit.ly/khbE6A"